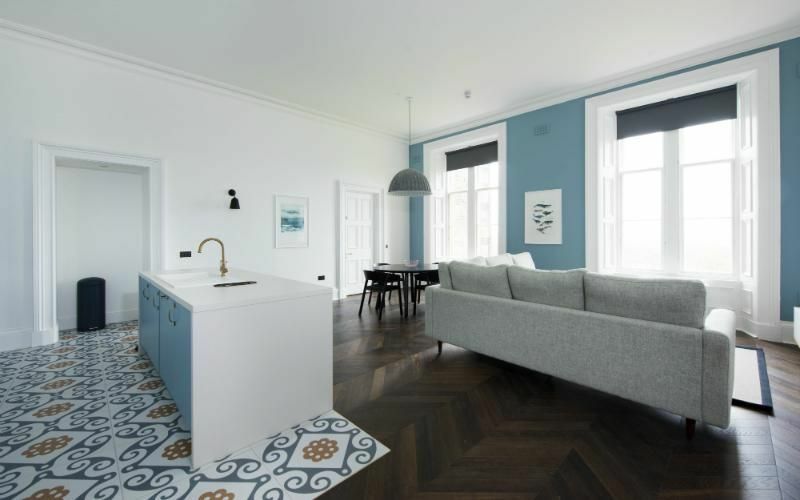 The Superior 1 Bedroom Apartment features 1 double bedroom, 1 en-suite bathroom and self-catering living area, with harbour facing views from at least one room. Both Superior 1 Bedroom Apartments are based on the First Floor of the castle accommodation. Very spacious rooms, elegant facility, wonderful staff. Would highly recommend (and be sure to check out the adjoining museum to see the Lewis Chessmen!). So why not 5 stars? Two things really. It would be three things but I don’t think it would be fair to include references to that monstrosity of a building to the rear of the castle which completely destroys the beautiful castle building and grounds back there. Firstly, and on a practical level, can we please have some coat hooks and shelving in the bathroom. It may sound a small insignificant issue but it was a real pain when trying to lay out toiletries, dry towels etc. You need shelving and hooks in a bathroom!! Secondly, as I’ve said before, the apartment was beautifully furnished. This old, grand castle is on an island in the Outer Hebrides, part of Scotland. There is absolutely no indication anywhere in the apartment, bar and overall building of the heritage of the structure and the country it is in. Come on Natural Retreats, the castle is in beautiful Scotland. Don’t hide that fact in your furnishings. Scandinavian design may look smart but it is cold. Be proud of the castle’s Scottish location and heritage and make some reference to it in the furnishings and decoration inside that coldly furnished building, please.